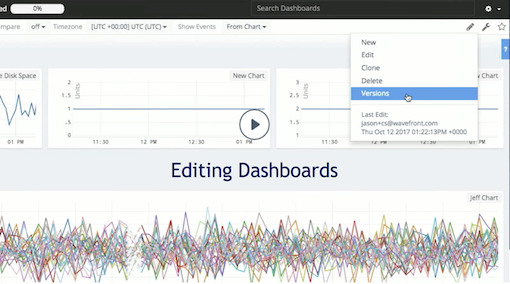 Visualize data with dashboards and charts. 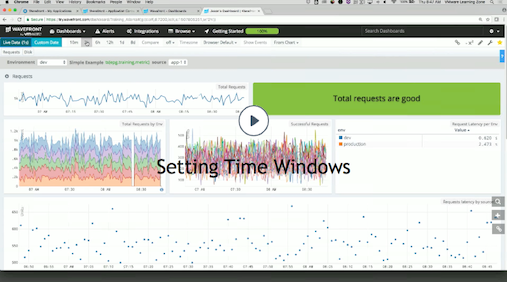 Learn about visualizing your metrics with dashboards and charts, and how to customize time windows, add legends, configure dashboard variables, and more! Jason demonstrates how dashboards give a holistic picture of what's happening. 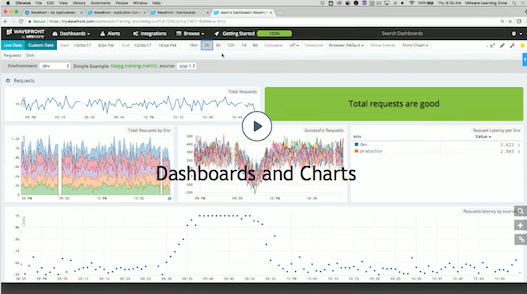 From the dashboard browser, Jason selects the Wavefront System Usage dashboard and gets details about the environment from the charts there. How to adjust time windows from the time bar or an individual chart. How to isolate sources or series to narrow down a problem. How to compare data with data from a week or month ago. 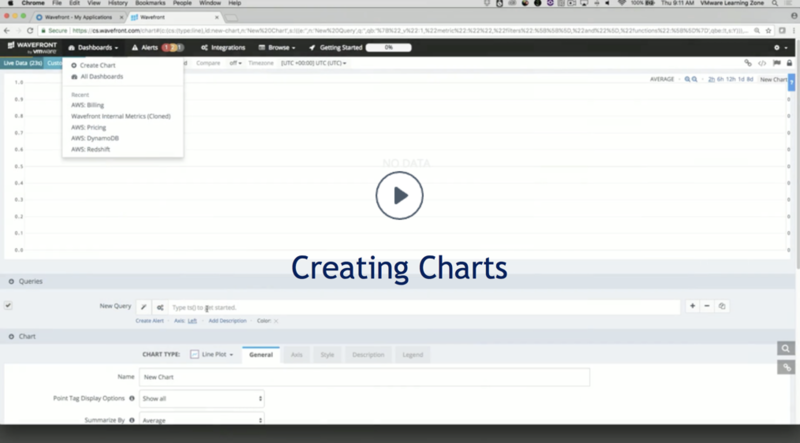 Watch how Jason creates a chart with the Dashboard > Create chart, customizes it to include a visual threshold, and saves it to an existing dashboard. Jason then puts the dashboard into edit mode to add a new chart directly, and makes configuration changes (units, name of the chart, etc.). Jason explains the difference between sections and charts, and then puts a dashboard into edit mode adds a new section to organize the charts. He uses the section bar to move to a section and demonstrates collapsing and expanding a section. 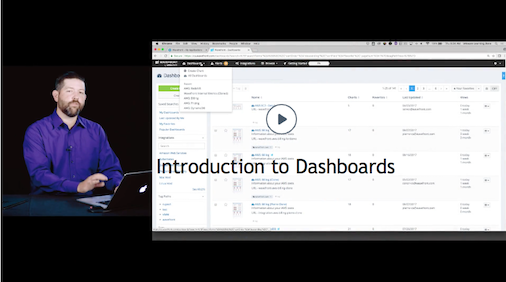 He shows how to undo or save changes in your dashboard. He makes changes to the dashboard JSON directly and saves those changes. Finally, he uses the dashboard version menu item to revert to a previous version of the dashboard. Align the axis to more easily see the trend associated with data. Show or hide obsolete metrics (older than 4 weeks). Use bucketing and summarization to display exactly what you need. Click Custom Date and pick a custom time window. You can go back in time. Adjust the time windows for an individual charts, and use a chart's push icon to update each chart in the dashboard to use that time window. 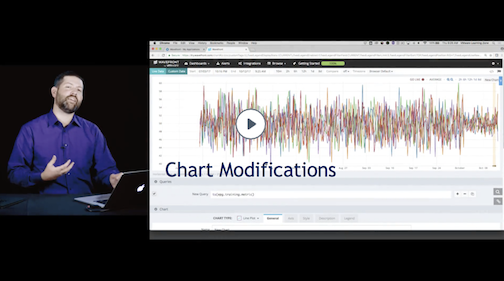 Use shift-drag on one chart in a dashboard to change the start time for all charts in that dashboard. 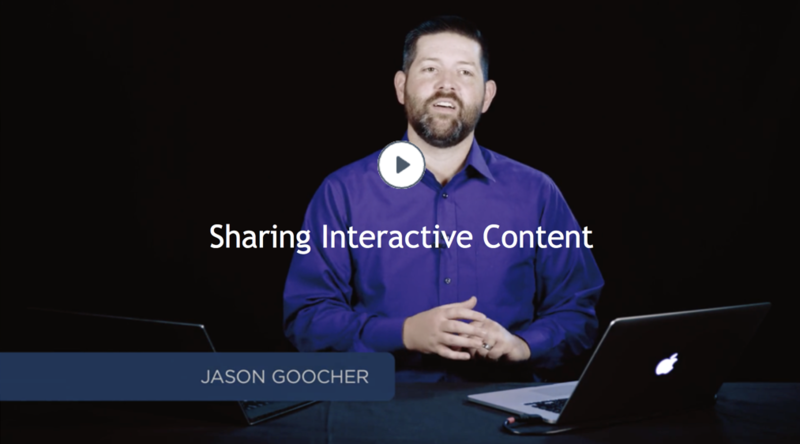 Jason explains how to use a shortened URL to share dashboard browser status, alert browser status, and chart status. While this information still applies, we now have additional options for sharing dashboards and charts.